A ground-breaking ceremony was held on Thursday 2nd June to mark the start of the £60million H B Allen Centre, which will incorporate some 255-graduate and academic visitor rooms, as well as additional shared facilities and innovative research space, in what has been named one of the most exciting and significant building projects in Oxford this century. 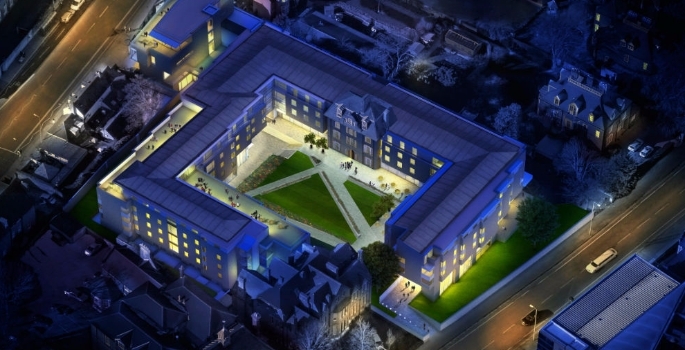 The centre will provide 231 en-suite rooms for postgraduate students – with many arranged in self-contained flats which have communal kitchen/dining room, common rooms and administrative offices. There will also be a café, gym, lecture theatre, seminar rooms and 24 en-suite rooms for academic visitors. The research facilities will include approximately 600sqm of research/office/technology/communal space arranged on four floors in the Woodstock Road Building (in the north west corner of the site) and 1,500sqm of flexible research/office space all with natural light and views to other parts of the site. The development will also include a landscaped quad and perimeter grounds and more than 200 bicycle parking slots. The new site will also provide space for University research teams and also potentially for spin out companies. Keble College has already funded the land purchase (an additional £10.75million) and raised £35.3million in gift and pledges for the construction project. 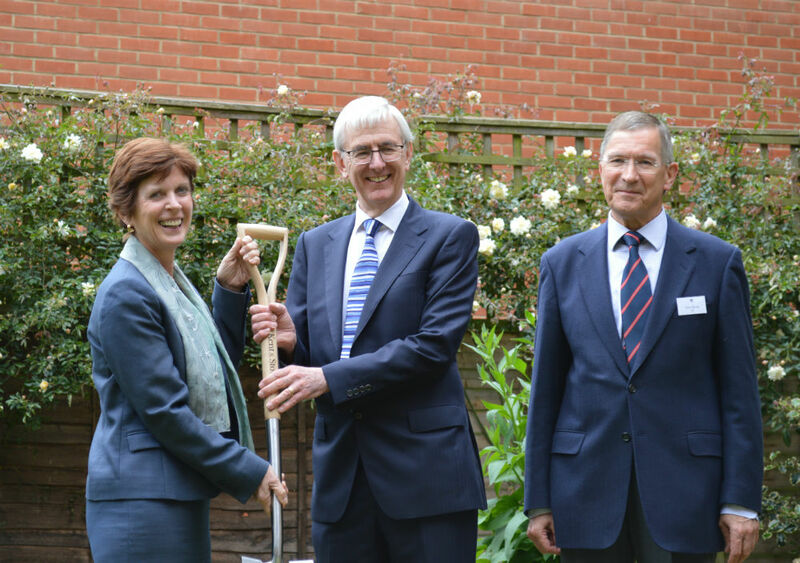 Of this £25million has been pledged as a capital grant by the H B Allen Charitable Trust, with generous support from many other alumni and friends. The development is due to be completed by October 2018. New research conducted by the Office for Students highlights concerns over the increasing trend for unconditional offers, with 111,700 offered in 2018 compared to just 3,000 in 2013. Wealthy students dodge £6K in student loan interest!